The best creations call for the best materials. With a tradition of providing the best for more than 100 years, you can count on Grumbacher for professional quality and consistent performance time after time. These Artists' Acrylic Mediums meet the highest standards, and when used to alter paint characteristics such as flow, transparency, gloss, and drying time, allow you to create a virtually endless array of creative effects. 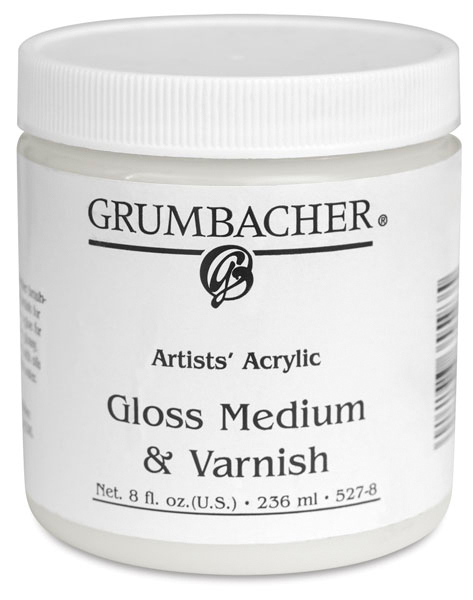 Gloss Medium & Varnish — Mix Grumbacher Artists' Acrylic Gloss Medium & Varnish with acrylic colors for smoother brushing and increased gloss. Or use it on its own as a final varnish over acrylic paintings, as a glazing medium, or as a glue for collage. It dries to a crystal-clear, glossy, water-resistant finish. 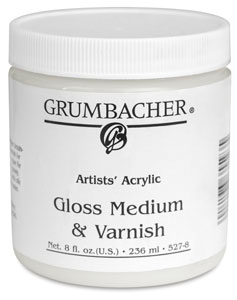 Matte Medium & Varnish — When mixed with acrylic paints, Grumbacher Artists' Acrylic Matte Medium & Varnish increases flow and imparts a matte finish. It also may be used on its own as a final varnish or as a glue for collage. It dries to a flexible, clear matte finish that's fully water-resistant.